If you are using IE, you may have this problem, when you try to open a new browser window only to find about:blank is what will greet you. You try to change it back but either your Internet Options are greyed out or you change the page back, only to find next time you start Internet Explorer the dreaded About:blank has returned. About:blank is a special page within most browsers. It is simply a benign page that’s built in to your browser. It’s not something to “get rid of”. It’s the page that your browser displays when it has nothing else to display. That’s all. The problem, of course, is that about:blank can show up unexpectedly, and people get confused about why, and what to do next. How to deal with about blank page? 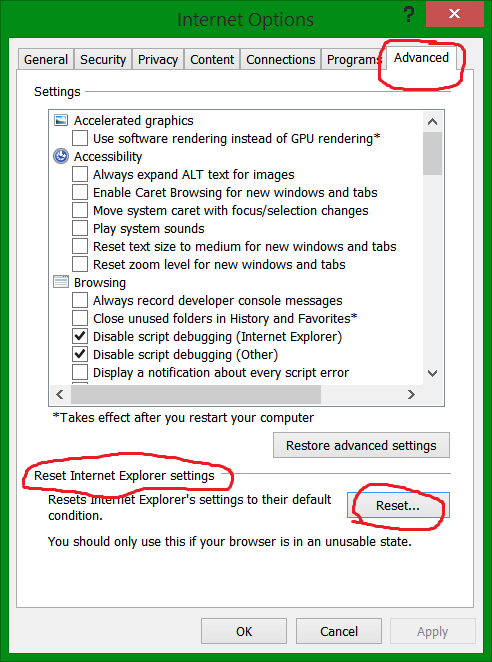 Method 1: Reset IE settings. 1. Open Internet Explorer, click on the “gear icon” in the upper right part of your browser, then click again on Internet Options. 2. In the “Internet Options” dialog box, click on the “Advanced” tab, then click on the “Reset” button. 3. 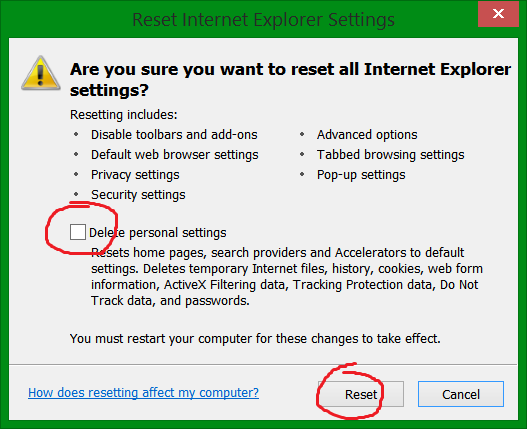 In the “Reset Internet Explorer settings” section, select the “Delete personal settings” check box, then click on “Reset” button. 4. When Internet Explorer has completed its task, click on the “Close” button in the confirmation dialogue box. You will now need to close your browser, and then you can open Internet Explorer again. 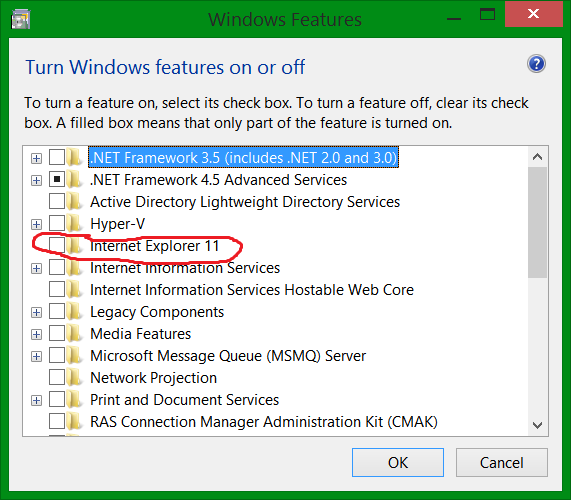 Method 2:Turn off; turn on Internet Explorer from Turn Windows Feature on or off. 2. Click Turn Windows Feature on or off in Program section and press enter. 3. Uncheck Internet Explorer to turn off and restart the computer. 4. Follow above steps and check the Internet Explorer to turn on. 5. Restart the computer and check the issue status.